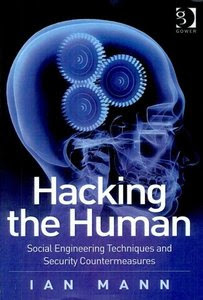 As I mentioned in my previous post, I am currently working on some original research dealing with Social Engineering. For background, I have been reading some of the few books on social engineering. One of them, Hacking the Human, by Ian Mann, has been fantastic. One of the areas of research he goes into is some basic principles on using Neuro-Lingustic Programming to profile a target. One aspect of NLP that Mann brought out was the idea of observing eye movements to indicate current thought processes. For example, the idea that as one talks to themselves, their eyes drift bottom-right. I found a great video that showcases this. I found this to be a very interesting concept–So I decided to test it out for myself. I asked the same questions as the above video to a friend, while videoing him answering. Interestingly, I got the same results, though not quite as pronounced as the above video. Just another exploitable vulnerability in the being that is the called the Human. I also find NLP to be very interesting stuff. Not only is a powerful discipline to read others, but also to better understand how you occur to others so you can become more effective in communications in terms of both the body language and verbal. Next Hurry! Only (random_num) Spots Left!